One year, while working for the BBC in Oxford, I appeared (for one night only, folks!) in pantomime. My brief role on stage included performing the song “I scream for ice cream”. I obviously had to learn the words and it became one of those earworms that lives in your head for days. It even put me off my friends Ben & Jerry for a while . . .
Those days are over because, on Mallorca, we have a great choice of ice cream to enjoy. Following on from my last post about the Taste of Tuscany menu at Belmond La Residencia a couple of weeks ago, the Italian theme continues: we have discovered RivaReno Gelato in Palma. So that’ll be four scoops then? 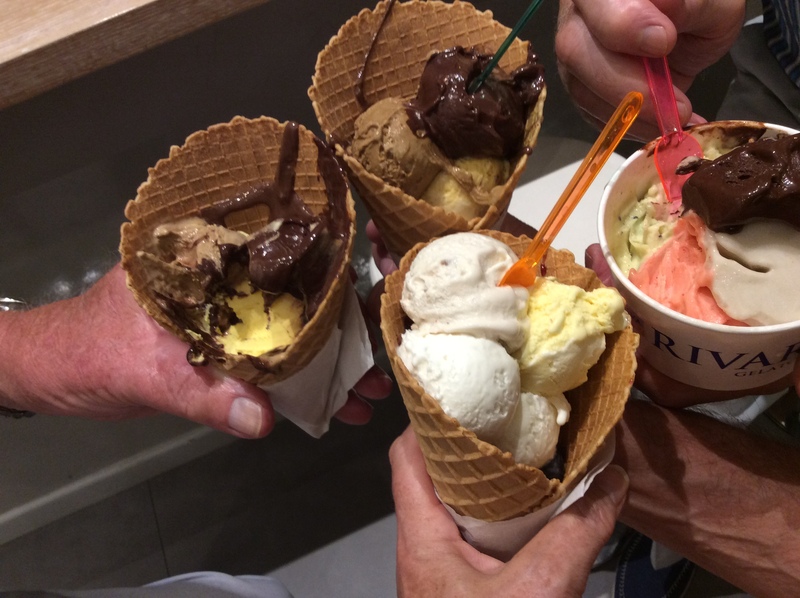 pened this year, opposite the emblematic Sa Llotja building, RivaReno offers authentic artisan ice cream. Adjoining the parlour itself is what they call the laboratory, where the ice cream is made fresh daily. They use all-natural ingredients – no hydrogenated fats, artificial colourings, or preservatives – and Alpine milk and cream from Piedmont, Italy. 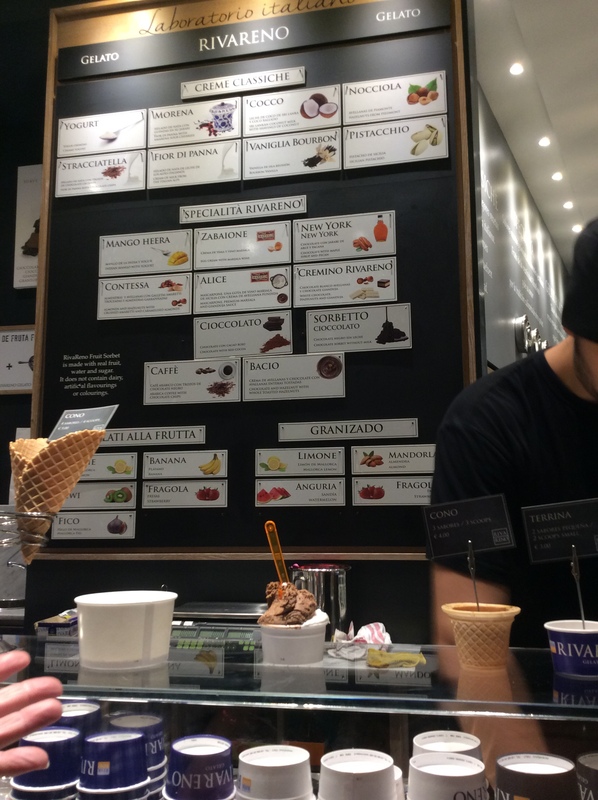 Their ice cream is made in small batches and kept in traditional Italian lidded-containers to minimize exposure to the air. And, yes, you can taste the quality in every luscious lick. Appealing decor . . .
RivaReno takes its name from an area of Bologna, where the brand was created. Their first store opened in Milan in 2005 – others have followed all over the country. In 2008 their ice cream won an award for ‘best ice cream in Italy’. 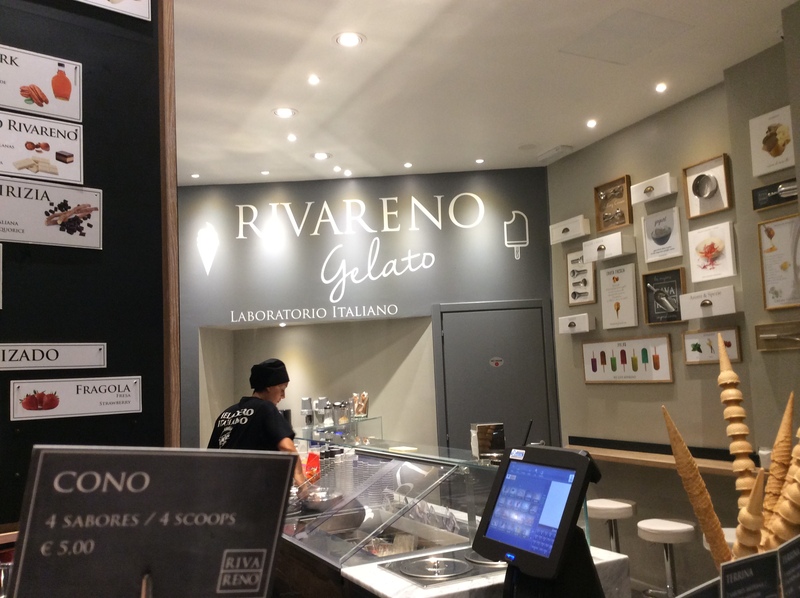 RivaReno opened in Sydney, Australia, in 2013 and, now, RivaReno is also pleasing ice cream fans in Malta, Marbella, and Palma de Mallorca; Germany is their next destination. I was amused to read – on the brand’s website – that RivaReno was created by two Italian gelato-makers, an Italian lawyer, a former Italian car executive – and a former BBC journalist! But I bet the latter never sang “I scream for ice cream” in a flouncy pantomime costume on stage at the Oxford Playhouse . . . 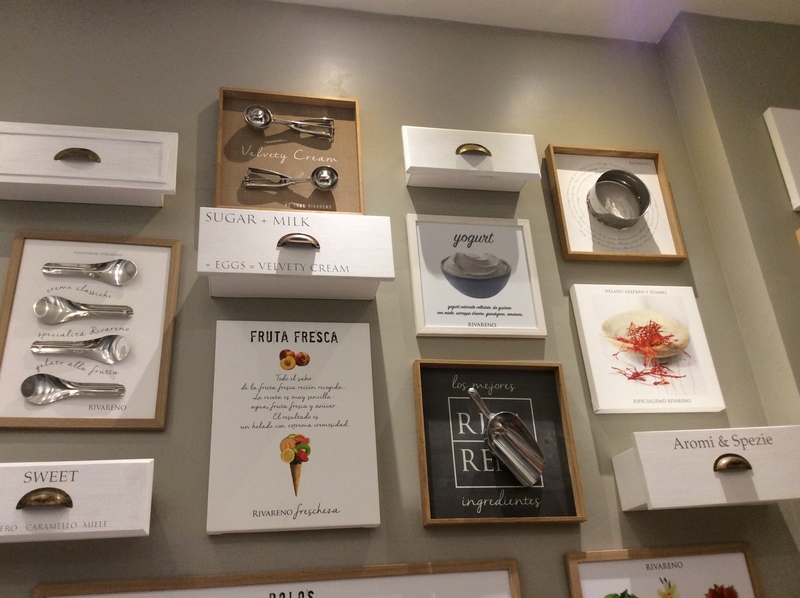 If you prefer to enjoy Mallorcan products when on Mallorca, check out the artisan ice cream offered by Can Miquel Gelateria Their parlour has plenty of space where you can eat your ice cream sitting at a table. Their range of flavours includes some delicious savoury ice creams and more varieties of chocolate ice cream than you can shake a cone at.